So it's February and that means it's nearly my 23rd Birthday and Valentines Day! 2017 is flying by and so far it's been amazing! Next week my boyfriend Jay and I are moving into our second flat together and I'm so excited! To some people it probably doesn't seem like a big deal but what most of you won't know is that we're moving cities too! We've both lived in Sheffield for years now (ever since we started University so some four and six years ago!) and we feel as though it's time to move on and start a new adventure. We're not moving far but are both very excited for the next year or so! If you'd like to see a flat tour let me know in the comments below. This year we're celebrating Valentines day early as it's the same week as my birthday and we've got a lot on so I thought I'd share with you my beauty preparation for valentines day and some meal ideas too! We made a delicious Meatball Pasta with tomato pesto and garlic olive oil from Filippo Berio and it was AMAZING! Ok so it's no secret that I suffer badly from dry skin. If you follow me on social media or have followed my blog for a while you'd know that especially during the winter months my skin suffers. Over the years I've tried numerous different products and treatments to help with my dry skin but it wasn't until recently when I discovered my love for eating avocado's that I discovered it can also help with dry skin too! On a weekend when I've got some time to myself I like to make myself a avocado and olive oil face mask using, you guessed it simply an avocado from the shop and your favourite olive oil. I like to use Filippo Berio because I find that it's the most moisturising for my skin. I like to apply the DIY mask before I get into the bath as I already feel relaxed, once I'm out of the bath I then rinse my face with warm water and then begin my usual skin care routine. Honestly, I'm not just saying this after using the mask my face feels so smooth and generally much healthier, I'd urge you to try it out! I've worn acrylic nails for months now and I honestly love wearing them because they make me feel much more girly but I can't really afford to keep going every 4 weeks for infills so had to take them off a couple of weeks ago. I don't want to say I regret that decision but they have literally wrecked my natural nails and I now HATE my nails! I got a new Gel nails kit for Christmas along with the lamp etc and I want to start using that as I know they can help strengthen nails and still look pretty but in the interim I need to get my nails looking a bit healthier. I've recently discovered Olive oil as a treatment for strengthening nails and it's helped me a lot. You literally have to get some olive oil - I use the Filippo Berio (the same one I use for the face mask) and soak my nails in a boil of the oil for about five to ten minutes before rinsing with soap and water. Like the mask, the moisturising olive oil helped nourish my skin and also strengthen my nails and cuticles. If you've suffered from breakage of nails due to acrylic nails then I would definitely recommend using olive oil to help strengthen them again. You will notice a difference after the first few times of doing it. I'm not going to lie, I always thought you couldn't use olive oil for hair masks - I've only ever heard people talk about coconut oil but I've never tried that and to be honest I don't think I'd use it much. A couple of weeks ago I was scrolling through the internet and found an article about using olive oil and the yolk of an egg for a hair mask. Well, let me tell you it has changed my hair! Using Olive Oil makes my hair so soft and the egg yolk makes it silky and smooth. I usually do this mask whilst I'm in the bath like the face mask because I can let it sit for a while and then I go back a couple of hours later and wash it off with shampoo and conditioner. It makes my hair feel like I've literally just come out the salon! 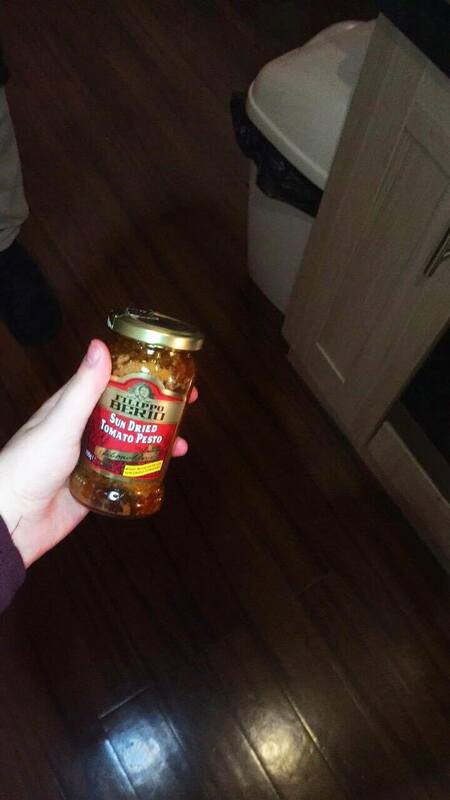 Don't get me wrong I do like going out and getting all dressed up to celebrate Valentines Day with my boyfriend, but sometimes there is nothing better than having a romantic night in instead. Valentines day 2017 will be the fourth Valentines day we've spent together so we've done the whole get dolled up and go out for a nice meal thing as well as spending time in together too. For our first Valentines together Jay cooked me a lovely meal and we spent the evening watching films together, drinking wine and generally enjoying each others company. This year we've decided to cook a meal together and do the same again as we're moving in a couple of days and there is a lot going on in February! On this year's menu we've decided to cook some tagliatelle with meatballs in the Filippo Berio sun dried tomato pesto sauce accompanied by a large glass of Prosecco (of course). 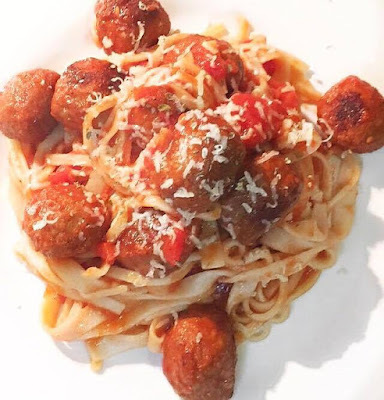 I've got a full recipe of the meatball tagliatelle here where you can find out my tips and tricks to making it the perfect meal. 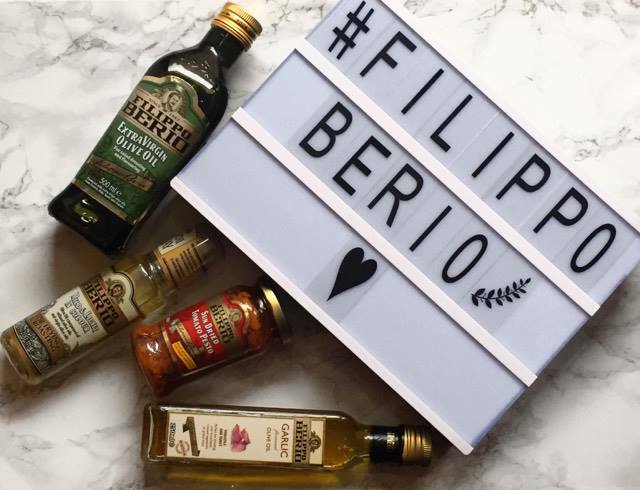 We used the Extra Virgin Olive Oil from Filippo Berio which is their best selling product (no surprises there). Jay and I love using this to cook the meatballs because of it's rich flavour and the fact that it's healthy too. The meal turned out perfectly and was delicious (if I do say so myself!) 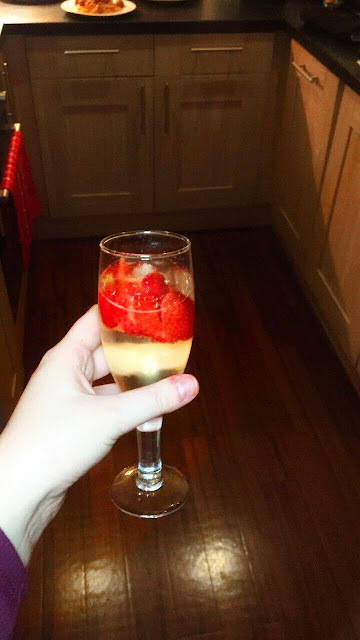 I would highly recommend experimenting with new recipes as an alternative to going out on Valentines day - we had such a laugh cooking together and the meal was a huge success! Everybody raves about coconut oil for cooking but for some reason I've never been that fussed about it. Maybe it's because I don't like coconut flavours but I've never wanted to try it (even though they say it's healthier for you). Well, for one olive oil spray is a much cheaper alternative to coconut oil. I don't want to be spending a fortune but I still want my hair to feel healthy and my skin to feel soft and of course my food to taste delicious! With olive oil you get much better quality but at a cheaper price so it's a win win situation in my opinion. Jay and I are obsessed with using the olive oil sprays, our favourite is the garlic infused one as it's got such a mild but rich taste. It's such a brilliant alternative to using fry light which we used to use religiously. Olive Oil spray is 100% natural and has NO added water, alcohol, aerosol propellant, emulsifiers or antioxidants in it whereas other oil sprays have these ingredients - making it ultimately a healthier choice. We like to use this when we cook our vegetables, whether we're frying them or oven roasting we use the garlic oil spray for added flavour and moisture. As many of you know I'm on a health kick and am trying to make healthier choices so this oil spray is great for calorie control and has 75% less saturated fat than a coconut oil has! If you've not already tried an olive oil spray (especially those that are infused with garlic or chilli oil etc), you seriously should try it! They're amazing!